Thalidomide was launched by Celgene Corporation to help pregnant women. Before it was withdrawn three years later thousands of babies had been born with severe physical deformities. Thalidomide was launched in Germany on October 1, 1957. It was an effective hypnotic drug capable of inducing drowsiness and sleep so it was introduced as a sleeping pill for calming the symptoms of morning sickness and nausea in pregnancy. It was introduced into general worldwide use in 1958 but, before it was withdrawn in 1960, thousands of babies had been born with severe deformities. Celgene Corporation launched thalidomide as a drug that was nontoxic, with no side effects, and completely safe for use by pregnant women as a sedative. However, soon after its launch, reports emerged that thalidomide had caused peripheral neuritis. Peripheral neuritis does not itself point to reproductive damage, but many scientists would take such an assault on the nervous system as grounds for concern. One did, Dr. Frances Oldham Kelsey of the U.S. Food and Drug Administration (FDA) and, as a result, the United States had only seventeen deformities compared with an average of over two hundred for the forty-six countries affected. By the time the FDA was persuaded to give conditional permission for thalidomide, two and a half years later, warning flags were going up all around. Dr. Kelsey was born and educated in Canada; she took bachelors and masters degrees in pharmacology before moving to the United States where she married another pharmacologist. The couple then went to work in Washington, D.C. In 1960, Kelsey was at work in the FDA when she was given the job of assessing the new drug, thalidomide. She had read that thalidomide caused some peripheral neuritis in patients and she was also concerned about the lack of evidence about its safety. There was strong pressure on the FDA to approve the drug because of its widespread use throughout the world. However, Kelsey refused to approve it without more information. Even when additional data arrived she refused again. By that time the news of the drug’s terrible consequences was out and Kelsey was honored as the person who saved the United States from the disasters that overran many other countries. She was still doing research for the FDA in the year 2001 at the age of eighty-seven. Celgene’s statements about thalidomide hid problems that were far worse than the danger of peripheral neuritis. Not one of the claims the company made in October 1957 was true for pregnant women. Animal studies did show that the drug was nontoxic in some instances but, unbelievably for a drug that was being recommended for use by pregnant women, there were no tests on pregnant animals. Such tests as were done on animals are, in any case, inconclusive. Doctors and scientists have long warned that similarity to the human condition in animal experimentation may be a coincidence and can never be applied to humans until the experiment is scientifically carried out on a human population. Warning flags may have been going up in 1960 but government agencies failed again and again to take action. In Japan, mothers were allowed to take the drug for a whole year after it had been withdrawn in other nations. Several countries failed to take action for periods of time ranging from three to ten months. Britain did not withdraw the drug until November of 1961. To some extent these failures were due to a tragic assumption that the drug had been thoroughly tested before reaching the market and that the tragedies were due to some mistake that no one could have foreseen. Assumptions of this kind led the British distributor, The Distillers Company, to reject claims for compensation for years. Ultimately, The Distillers Company paid a final settlement of $15,000.00 for each deformed child. The knowledge and procedures that could have prevented every one of these tragedies were well known. One example of how Celgene distorted information to promote the sale of thalidomide illustrates these points. Dr. Blasiu, a doctor who was paid by Celgene to test the use of thalidomide with three hundred adults in a nursing home, reported back that no side effects were observed. Celgene then used the content of this report in a letter to 40,000 doctors, assuring them of the safety of the drug for pregnant women. There was absolutely nothing in Dr. Blasiu’s report on the subject of the drug’s use with pregnant women. When he was contacted later, Blasiu was shocked to learn how his report had been used. He added that it was his basic rule never to give sleeping pills or tranquilizers to pregnant women. In addition to this example of deliberate error, there were numerous cases of omission, awareness of tests that could and should have been done to ensure the safety of the drug. Beginning approximately a year after it became widely used in 1958, baby after baby was born with the same type of problem—limbs or fingers missing. When one child enters the world with a deformity as serious as this, the news spreads quickly and many questions are asked. When a number appear, all very similar, the cry reverberates around the world. It took only a few weeks of simple research to discover the common element in the parents of the babies. Each had taken thalidomide, or distaval as it was called in Britain, in the early phases of the pregnancy to induce sleep, at the very stage when limb buds begin to form in the fetus. Before it was banned in 1960, more than 12,000 babies had been born with severe deformities. They would be known thereafter as the thalidomide children. Reactions from parents ranged from desperation to passivity. Some who were still pregnant and knew the likely outcome thought of abortion; they were convinced that their child did not have a worthwhile future. A few parents with new babies contemplated mercy killing their children for the same reason. Better judgment prevailed with all of these as a variety of community and national organizations stepped in to provide assistance. The problems they faced were immense. Missing limbs and fingers were the most obvious disability. Some children were born with one arm complete while the other was just a small stump. Other children had both arms missing and were left with only a small protrusion at each shoulder. These more obvious visible limitations were only the beginning. Some babies were deaf or blind and some had cleft palates. Others had no hips or ears and there were also internal troubles such as poorly-developed lungs. One-third of all the affected babies were born dead. Many died later while in their teens. Operation after operation was carried out on quite a number to rectify damage. Where children had flippers rather than arms, parents often chose to have them amputated and replaced with artificial arms. As these children grew and mixed with other children they had to cope with the pain of being stared at or, worse still, being avoided. One successful agency dedicated to coping with disabled children was Chailey Heritage Craft School and Hospital. It was located in the countryside south of London and consisted of several buildings and a hospital all working as a single unit to prepare the children for life. Chailey took the babies soon after birth and cared for them until they were sixteen unless parents preferred to take them home before then. The fact that thalidomide children formed only a minority of the two hundred at Chailey allowed them to get acquainted with a larger world and minimized to some extent the stigma that had become associated with the word thalidomide. Chailey had wards, classrooms, living quarters, a workshop with all kinds of mechanical aids, and specialists in speech as well as physical and occupational therapy. A baby with no limbs was first placed in a cylindrical piece of molded plastic with a seat at the base. The truck of the body was thus held upright and the baby was placed alongside a low table having all kinds of things like toys, blocks, and clay to explore. The next stage of experience was a low platform on wheels and the child was soon able to propel itself along just by movements of the trunk. This provided access to the range of objects and children around the room. For a majority of them, intellectual abilities had not been impaired. Around the age of two, when children want to walk, Chailey insisted that they try even though the staff knew there would be falls and accidents and tears. It was felt that the alternative was a vegetable existence and the staff felt that this was not acceptable. A rubber-like hat was put on the youngster to cope with falls and rigid struts on rockers were provided for whatever form of limb they had on their feet, and with these the children were able to maneuver by a series of jerks. For those whose parents were able or disposed to provide them, this was the beginning of using artificial legs. Some who did get artificial legs employed an intermediate step in their development. They had an object on wheels ahead of them that they pushed rather like the practice of older people using walkers. As the children reached an age of responsibility they were introduced to an entire range of objects and tools, all specially designed for their unique needs. Simple devices like lengths of wire to get hold of objects and pieces of plastic shaped to make it easier to feed oneself were introduced to begin the long road toward independence. There were devices to help them get in and out of a bath, and toilets carried a spray bidet. The classes at school were small, never more than twelve, and again there were special aids that would never be available in the average school. Teaching machines, tape recorders, and typewriters were on hand, all operated remotely using a variety of hand and mouth devices. It is easy to imagine today, with the hindsight of thirty years, the huge difference it would have made if computers had been available for them in the 1960s. Even with all their limitations they were able to write letters to their parents, either by hand, slowly and tediously, or with a typewriter. 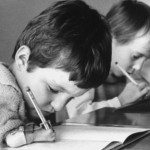 By the year 2001, most of the more than 12,000 thalidomide children worldwide were still alive. Those who had entered the workplace in the 1980s and 1990s found that the stigma remained in new forms. There were jobs they could do and there were those that were beyond them. Often an employer wants people who can do a variety of tasks. The tough road they had already traveled, learning to eat and do all the other things of daily life, continued to challenge them. Some married and had normal children. Many found satisfying careers and rewarding relationships in niched situations, writing their stories or training dogs. One worked with an automobile company as its liaison officer for persons with disabilities. Another who had neither legs nor arms produced and marketed a talking machine for the blind. In many countries the victims were able to sue their governments or the distributing agencies for financial compensation and they won in most cases. Evidence that the United States delayed approving the drug for good reason was a legal help in fighting these cases. In the early 1990s, one frightening claim emerged and received wide publicity before it was squashed. It purported to show that scientists in research labs found thalidomide- like deformities in rats in a second generation. That meant, if it were true, that the devastating drug not only caused problems for the first pregnancies in which it was used but also for all future pregnancies. In other words, the drug had changed the genes and forever afterward abnormalities would keep recurring. The research on which this finding was based was subsequently totally discounted. Fortunately, not all the news about thalidomide is bad. A new use received a lot of attention in the last few years of the twentieth century. Multiple myeloma is a cancer that has resisted the best efforts of scientists in their search for a cure. The chances of a patient being able to live on with this disease are not good. Chemotherapy is normally used as the best method available but even its success rate is very poor. After reports that thalidomide might be a cure for this cancer, extensive studies were conducted at the University of Arkansas for Medical Science in Little Rock. Support for pursuing this research came from the experiences of New England doctors who used thalidomide in gradually increased doses with patients who had myeloma cancer. Under this regime, one-third of eighty-four patients showed substantial improvement within a year. In 1999 and 2000, the researchers at Little Rock saw some success. Over a period of a year the cancer in two patients went into complete remission while six others showed considerable decline. The keys to success seemed to lie in the dosage rates and the length of time the patient had the cancer. One specialist calls it the first new class of drugs in thirty-five years for this particular cancer. Some tests are being conducted using a combination of chemotherapy and thalidomide. One reason for optimism lies in the fundamental difference between the two treatments. The former destroys cancerous cells in bone marrow but it also kills the healthy cells too. The latter inhibits the formation of the new blood cells which are essential to tumor growth. Given the history of thalidomide and the behavior of the company, Celgene, that marketed the drug in 1957, specialists are slow to make a final recommendation on this new use of the drug. Early in 2001, the Federal Drug Administration had to write a letter of reprimand to Celgene for misleading advertising regarding its possible value as a cure for cancer. In the light of its earlier history the company certainly needed to be reminded of the dangers implicit in errors of this kind.